If you originally made your deposit via NETELLER, you will need to process your withdrawal through NETELLER as well. 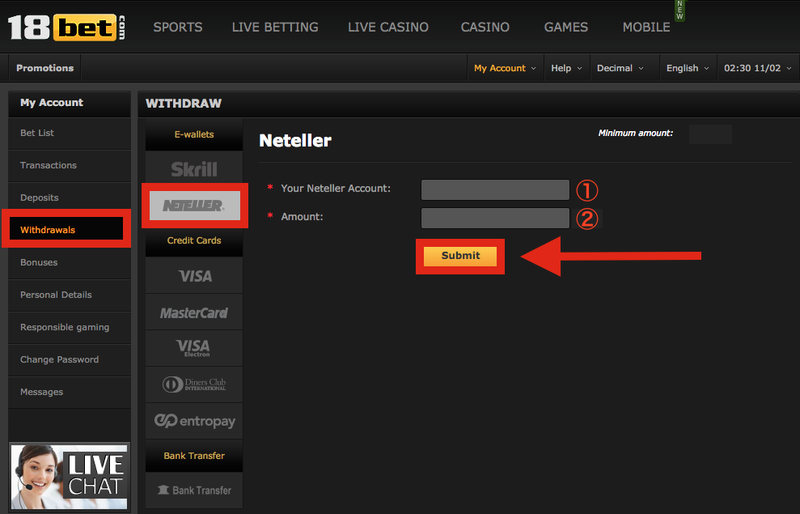 First click on “Withdrawals” located on the left-hand side of the screen followed by clicking on the NETELLER logo. Next, enter your 12 digit NETELLER Account ID and the amount you would like to withdraw (should be more than €25 or the equivalent). Lastly click the yellow “Submit” button to process your withdrawal transaction. ※ Please note that it will take anywhere from a few hours to two (2) days for the withdrawal payment to be reflected in your NETELLER account. If you originally made your deposit via Skrill (formerly Moneybookers), you will need to process your withdrawal through Skrill as well. 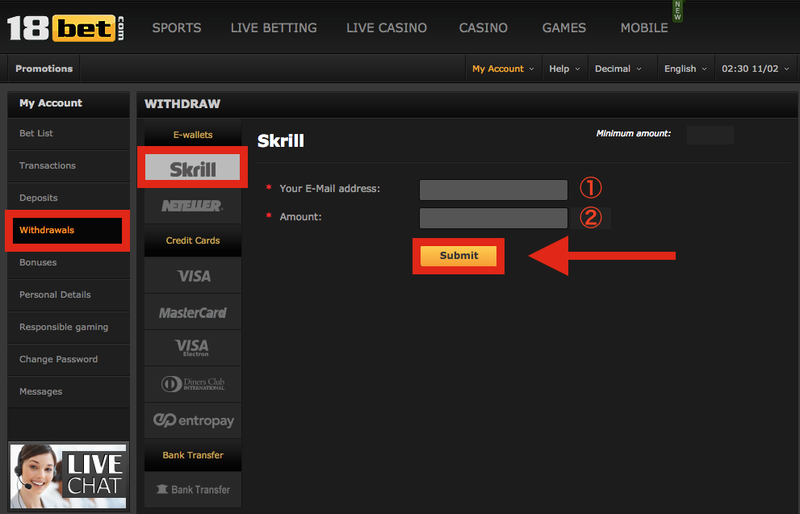 First click on “Withdrawals” located on the left-hand side of the screen followed by clicking on the Skrill logo. Next, enter your Skrill email address and the amount you would like to withdraw (should be more than €25 or the equivalent). Lastly click the yellow “Submit” button to process your withdrawal transaction. 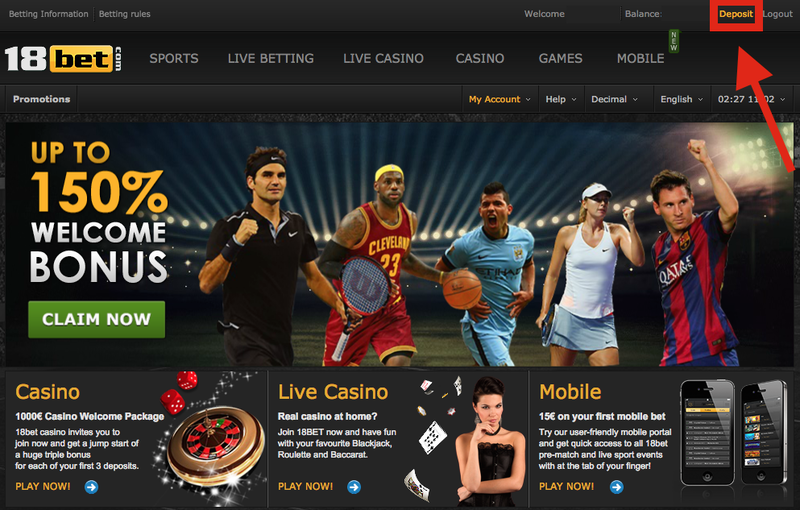 Want to withdraw your money from 18bet? View here for a step-by-step guide on how you can have a payout processed and receive your earnings/winnings.